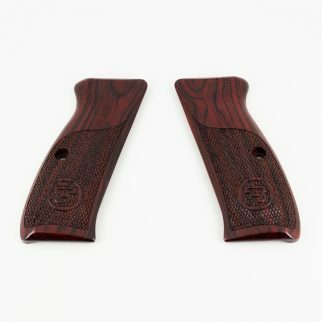 CZ-USA OEM Coco-Bolo, 1/2 checkered grips for compacts. 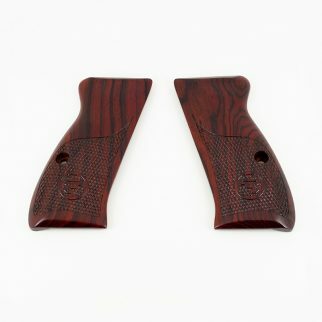 Compact OEM rubber grips, fits all 75 compacts including P-01 Omega. Does not fit RAMI. See part number 28 for new black oxide grip screws. Beautiful "cheese grater" factory aluminum grips with screws.